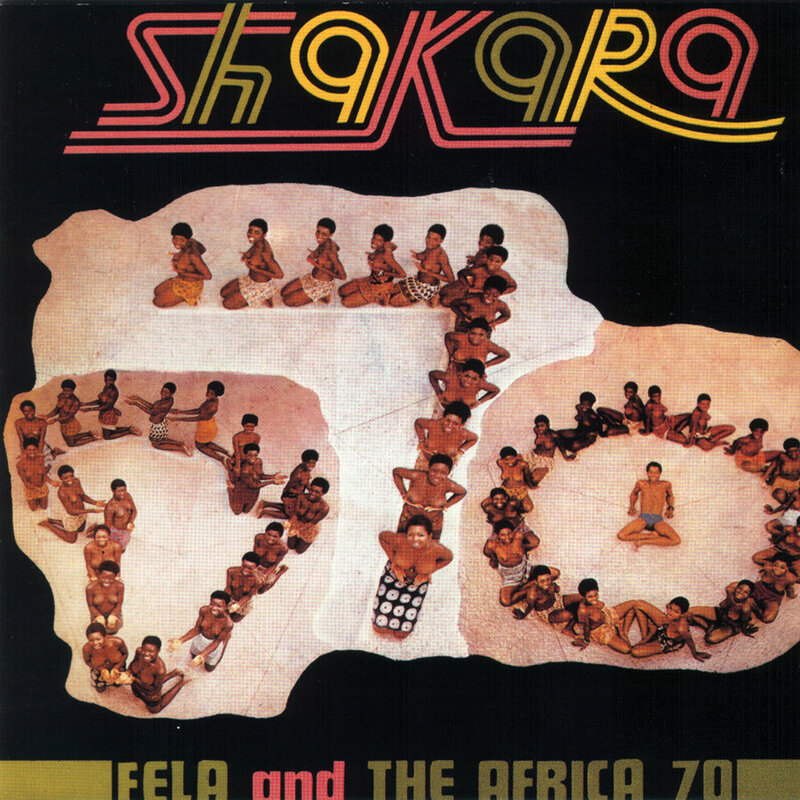 With the 1971 LP Shakara, Fela and Africa 70 enjoyed one of their biggest early hits. A two-track set comprising “Sakara (shakara) Olojie” and “Lady”, it marks the transition of Afrobeat from its late 1960s foetal stage to something approaching its full-grown form. Up-tempo, with a characteristically turbulent horn arrangement, “Sakaha (shakara) Olojie” is a mainly-instrumental track. It includes strong solos from Fela on keyboards and Igo Chico on tenor saxophone. In the brief but powerful lyric, Fela ridicules loudmouths and braggarts. He challanges them to put up or shut up. The essence of Fela’s message is that empty vessels make the loudest noise. The song is sung in Yoruba. The original sleeve notes provided an English-language translation. In future, Fela would sing many of his songs in broken English, the lingua franca of Anglophone west Africa. This made his lyrics comprehensive to non-Yoruba speakers throughout the region and his growing audience in Britain and the US. Second, female backing vocalists respond to Fela’s lead vocals in what was soon to become Africa70’s trademark call-and-response pattern . Many of the Fela’s songs are based on just two chords. As the band rocks from one to the other, an immersive, irresistible forward-motion is created. The call-and-response between Fela and the backing vocals enhances this.